Well, I’m very pleased to announce that Hicks and Goulbourn now have a Face Book page and lots have people have visited already on its launch day. It’d be great to hear from our friends across the world – this is a great way to interact globally. Steve will be playing solo at The Musician in Leicester on Thursday 14th November where he will be supporting Sally Barker and Vicky Genfen. This should be a brilliant evening and I for one will be there early enough to make sure I get a good seat. Looking forward to it very much. 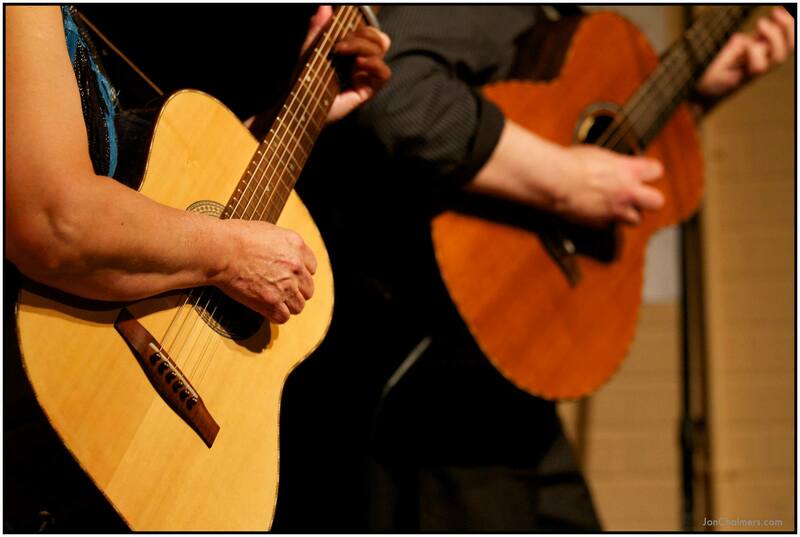 On Monday evening Hicks and Goulbourn are off to Mansfield Folk Club to do the feature spot. It’ll be nice to catch up with friends there. This entry was posted in Uncategorized and tagged Mansfield Folk Club, Steve_Hicks_and_Lynn_Goulbourn, The Musician Leicester by admin. Bookmark the permalink.